Mature student Simon Speight has just graduated with an MSc in Podiatry with Diabetes (distinction) after travelling 88,000 miles in total to achieve it. 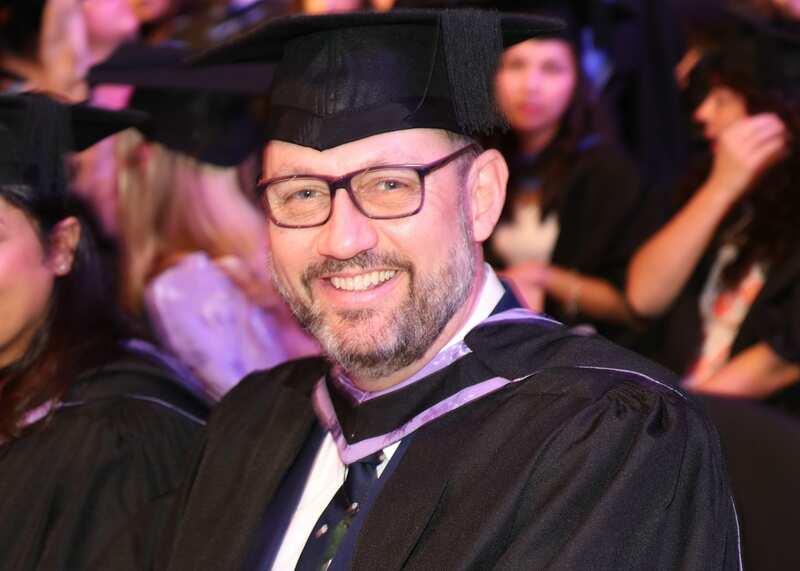 Simon runs his own podiatry practice ‘Speights Podiatry’ in Auckland, made his final trip this month (August) to receive his Podiatry with diabetes MSc (distinction) at the University’s graduation ceremonies at the Brighton Centre. Tagged Diabetes, podiatry, Podiatry with Diabetes, Speights Podiatry, University of Brighton. Bookmark the permalink.